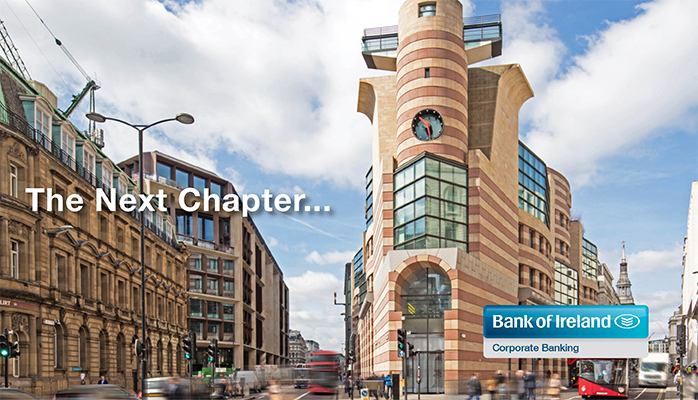 Bank of Ireland is delighted to have supported Hana Alternative Asset Management and its co-investors in their acquisition of the landmark building 1 Poultry, London EC2. The property, which was previously the headquarters of Aviva plc, has benefitted from a full refurbishment and now forms the City flagship of WeWork Companies, Inc.’s London estate. The Coq D’Argent restaurant continues to enjoy the roof-top views over the Bank of England and the ever-changing City skyline, and soon Puttshack will begin fitting out their exciting new experiential concept on the concourse level below the ground floor retail. Hana Alternative Asset Management, working alongside their institutional investor partners, have been active in the UK and European markets through the year and closing this transaction will crown a very successful 2018.